It has been useful to meet in order to agree on the project. 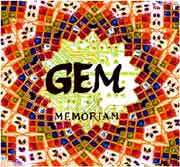 GEM’s goal is to gather memories of seniors. It will be the base of our work. It has been decided that every event, communication, publication concerning dissemination will be put on the website. Dissemination will be done through four major media: Facebook, flyers, newsletter and website. Fill in the questionnaire (1 per country) on the website before the 10th of November 2012. Fill in the individual questionnaire (on google doc) before the 10th of November 2012. Each partner has to know how many students and how many hours of workshops they will make by September 2013. 2) What do you think about seniors situation in information society? = for students & seniors. - Meeting in Italy : wait to meet the Italian partner to decide to hold it. - Meeting in Vienna: wait also because the Portuguese partner is still waiting for acceptance.